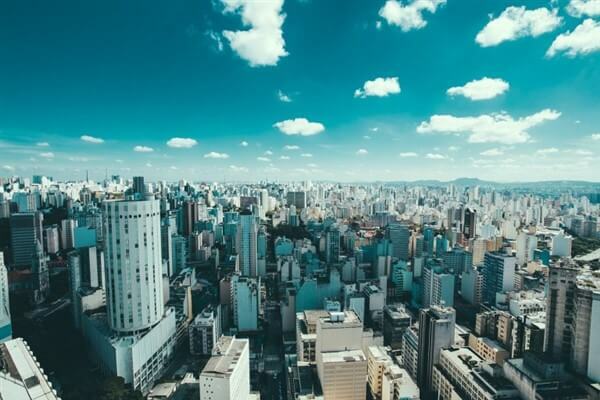 When I arrived in Brazil, São Paulo was my first destination – even in whole South America. I was expecting a lot and was, to be honest, kind of disappointed with São Paulo in the beginning. 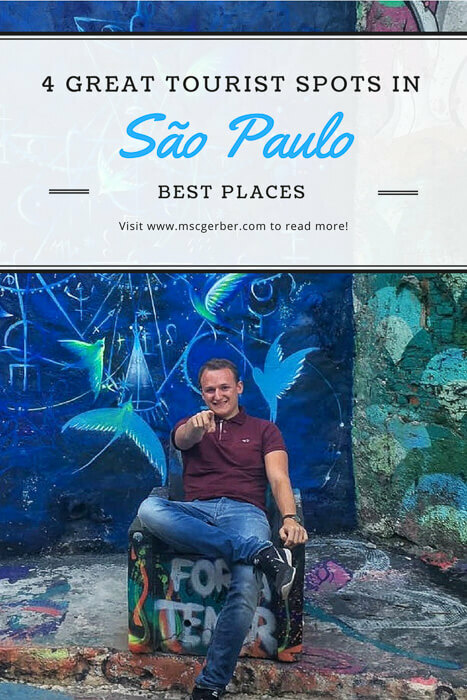 Over time I realized that São Paulo might not be like you expect Brazil to be – like Rio de Janeiro that is exactly like all these imaginations – but it has its own style and is definitely worth a visit as it offers many interesting attractions all around the city. Following I will present you 4 great things to do in Sao Paulo. Probably everybody heard about it before. Still, most of you will not really know what you can expect at one of the main tourist spots in São Paulo. It stretches over 2,8 kilometers and is also the location of many headquarters of huge Brazilian companies. It’s a symbol of the political and economic power that São Paulo combines in the biggest city in South America. Additionally, it is the home of some of the biggest shopping centers in the country and a couple of great museums. But enough facts for today, how is it to be there? Especially if you are from Europe this street will just blow your mind. It’s absolutely tremendous and fascinating to walk along the Avenista Paulista, visit some random stores and lose yourself in shopping malls, museums and places that you don’t even know what they are about. At first, I was concerned if it was safe to just walk around there. However, I never felt unsafe while I was walking around there alone. Yet it is recommended to not walk around at night and always take care in São Paulo. Better take an Uber / Taxi too much than taking an unnecessary risk. Some areas of the city are not safe for tourists, especially if you don’t speak Portuguese. You can also book a cheap tour with a local guide to enjoy the city without feeling insecure. Almost every big city has its own park. New York has the Central Park, San Francisco the Golden Gate Park and São Paulo the Park Ibirapuera. I can’t compare it to the others because I have not been there yet, but what I can say is that I really liked the park. Sure, there is not a breathtaking landscape and it’s not comparable with “real nature” in remote places. In my opinion, it’s a perfect addition to a huge city like São Paulo. You can flee from the horrific traffic and the stressful atmosphere of the city and enjoy some silence in the green. It’s pretty easy to get lost inside of the park though. Of course, it didn’t happen to me (I wish that would be true). Yet, The Ibirapuera Park is one of the best things to do in Sao Paulo. São Paulo is often called the world’s capital of Graffitis and street art. Honestly, I never heard about that before my Brazilian friend told me that. But after I spent some days in São Paulo I can definitely agree with that. Wherever you are you can see huge and impressive pieces of street art on skyscrapers or walls. They are huge and you can see them from far away. Some of them are from Kobrastreetart which impressed me a lot with his beautiful graffitis that look like modern art to me. And then there is a place called “Beco do Batman” (Batman’s Alley) which left me almost speechless. It is located in the neighborhood of Vila Madalena and enjoyed the interest of many tourists during the world cup. There were also many reports about robbery and assaults in this region in the last years – so be careful with your camera or valuables and don’t visit it at night! 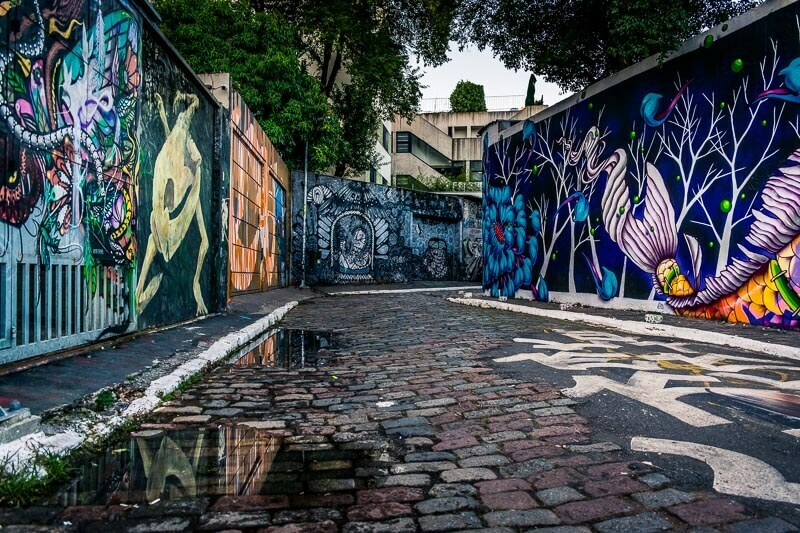 There are also tours through whole São Paulo which will show you all the important and famous graffitis all around the city. For me, this was definitely one of the best attractions in Sao Paulo. As I already mentioned you can find several museums of a different kind in whole São Paulo. Really, it is one of the cities with the most interesting museums I’ve ever been to. I enjoyed the Football Museum and the “Museo Afro Brasil” the most. The latter highlights the importance of African people in the Brazilian culture, identity, and heritage and is considered to be the largest of its kind on the whole globe. Besides them, you can also find some art museums with a high reputation, such as the Museum of Modern Art. If you are interested in history, art or soccer you will certainly find a good fit for yourself. There are also different temporary exhibitions – I visited one of Steve Jobs for example. The only drawback is that some of the museums only offer the exhibition in Portuguese and Spanish. I hope you enjoyed this little list and will enjoy your trip to São Paulo. Also be sure to explore other parts of Brazil, because Brazil has many things to see.